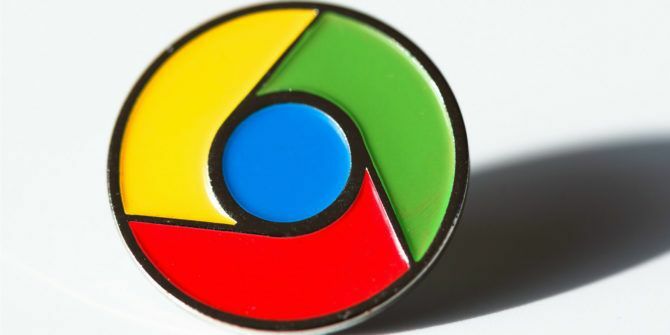 Google is considering adding an ad-blocker to Chrome. The built-in ad-blocker would likely filter out bad ads, letting those that meet a certain standard through. Google has declined to comment on the rumors, but this would be a logical next step for the company. And good news too. Advertising is an essential part of the online experience How Advertisements On Your Website Could Make Or Break You How Advertisements On Your Website Could Make Or Break You An Internet without ads would be an Internet smothered in subscriptions and paywalls. You don't have to feel guilty for running ads on your website, but make sure you do it right. Read More . Without it, the vast majority of websites would simply cease to be. And yet people are blindly using ad-blockers with no regard for the websites that rely on advertising to pay the bills. Including MakeUseOf. The rumors come courtesy of The Wall Street Journal, which cites “people familiar with the company’s plans”. The WSJ claims Google could “announce the feature within weeks, but it is still ironing out specific details and still could decide not to move ahead with the plan”. Google’s ad-blocker wouldn’t block everything. Instead, it would likely “filter out certain online ad types deemed to provide bad experiences for users as they move around the web”. This includes “pop-ups, auto-playing video ads with sound and ‘prestitial’ ads with countdown timers”. Essentially, Google would be trying to improve the quality of advertising for everyone using Chrome. The idea being that people don’t hate ads per se, but rather bad ads that ruin their online experience. Which is feedback we have previously heard when broaching this subject It's About Ethics in Stealing Games Journalism: Why AdBlock Needs to Die It's About Ethics in Stealing Games Journalism: Why AdBlock Needs to Die A simple, free browser plugin killed Joystiq – and is ruining the Internet. Read More . This would actually makes a lot of sense. Google is in the online advertising business, and, despite its flaws It's Time To Break Up With Google Chrome It's Time To Break Up With Google Chrome As a big fan of Google Chrome for a long time, I finally decided it was time for us to break up. It came down to overall performance, customization, and extensions. Read More , Chrome is the biggest web browser on the planet. If it can use the latter to change people’s minds on the former, then it would be taking control back from the ad-blockers increasingly threatening its livelihood. This is therefore a win-win for everything concerned. This is currently nothing more than hearsay based on a solitary publication. So it may come to nothing. Or Google could be on the cusp of disrupting things yet again. Lest we forget that Google I/O 2017 starts on May 17, which would surely be the perfect time to announce such a thing. Do you currently use an ad-blocker? If so, why? Do you whitelist certain websites? Or do you employ a blanket ban on advertising? What do you think of Google’s plans? Do you like the idea of an ad-blocker which filters out bad ads? Please let us know in the comments below! Explore more about: Ad-Blockers, Google, Google Chrome, Online Advertising. Google is part of the problem with its own ads that are still sometimes against what it considers bad, I still see adsense that if someone else was doing google would call deceptive. As for everybody including MUO making money and living, well of course, but don't let a third party dictate terms for you. Autoplay is probably the current worst type imo but I don't see google or anybody doing anything real about it ... because to me 'anything real' would mean they don't exist at all. Of course Google is part of the problem. That's why I welcome this move, because it suggests the company is at least aware the ad business needs to evolve. It's insanely hard to make the money needed to run a site of this size without using third-parties. So we're always going to be somewhat at the mercy of the companies running the ads. All advertising on the internet should be treated as hostile. Any endorsement of this from a major internet company should be treated as a positive development. The internet as a whole needs to have a major re-think of revenue models. Google is actually as much part of the problem as a component of the solution. How much are you willing to pay for site subscriptions? Whenever a site tries to implement a paywall it fails hard. Or do you have some magical idea that keeps content free and doesn't require advertising? The value of even a single "tip" of $2 on any reasonably large site frequented by general audiences (e.g. MUO) is worth more than all the ad impression revenue I would in theory create over the course of a year. But the issue of funding commercial sites is not my problem since I'm not the one trying to monetize it.